On May 2, 2011, at 1:03 a.m. a satellite uplink was sent from Pakistan crackling into the situation room of the White House: "Geronimo, Echo, KIA." These words, spoken by a Navy SEAL, ended Osama bin Laden's reign of terror. 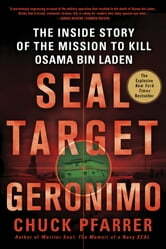 SEAL Target Geronimo is the story of Neptune's Spear from the men who were there. After talking to members of the SEAL team involved in the raid, Pfarrer shares never-before-revealed details in an exclusive account of what happened as he takes readers inside the walls of Bin Laden's compound penetrating deep into the terrorist's lair to reach the exact spot where the Al Qaeda leader was cowering when the bullet entered his head. 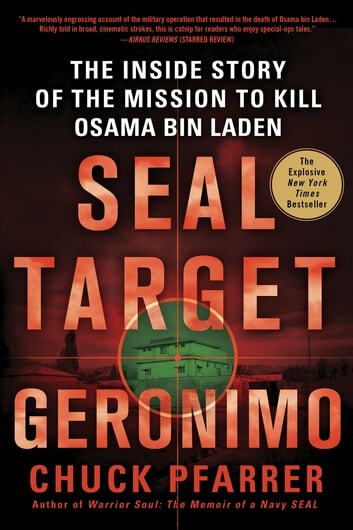 SEAL Target Geronimo is an explosive story of unparalleled valor and clockwork military precision carried out by the most elite fighting force in the world—the U.S. Navy's SEAL Team Six. A well thought out progression towards the Operation Neptunes Spear. Chuck takes the reader to a better understanding of the elements behind the operation and allows for greater clarity of the Islamic tensions.